Dr. Davidson is a professor of medicine and director of preventive cardiology at the University of Chicago Medical Center. He is national president of the National Lipid Association, a multidisciplinary non-profit membership association that serves healthcare professionals who manage patients with lipid disorders and cardiovascular disease, since May 15, 2010. An active investigator involved in both pharmaceutical and nutritional clinical trials, Davidson’s extensive research on statins, novel lipid-lowering drugs, and nonpharmacologic risk-factor reduction has established him as a key opinion leader in this area. His research also includes extensive work with food additives, dietary supplements and health-claim petitions to the US Food and Drug Administration. A prolific author and lecturer on lipid disorders, nutrition and atherosclerosis, Davidson has coordinated more than 1,000 clinical trials in areas of preventive cardiology and published more than 250 articles for leading medical journals. 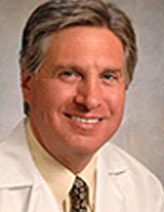 He is board-certified in internal medicine, cardiology and clinical lipidology. He is a Fellow of the American College of Cardiology and the American College of Chest Physicians. He has been listed in The Best Doctors in America, every year since 2003. As a founding member of the NLA in 2003, Davidson has served in many leadership positions such as President for the Midwest Chapter from 2006 to 2007 and treasurer for the national association from 2008 to 2009. He chaired the NLA Programs Committee, founded the Masters in Lipidology™ course, and continues to serve on the board for the Foundation of the NLA. Davidson earned his medical degree from The Ohio State University College of Medicine in Columbus. He then fulfilled his residency in internal medicine and fellowship in Cardiology at Rush University Medical Center in Chicago. In addition to serving as the NLA’s newly-installed president, Davidson recently was named Father of the Year by the American Diabetes Association and will be recognized at a special ceremony presented by the Father’s Day Council on June 17 in Chicago.